Synopsis: Father searching for his daughter finds out she is mixed up in a alimony scam. Black & White. Synopsis: Two undercover agents attempt to bust drug smugglers along the US-Mexican border. Each suspects that the other might actually be a crook. Black & White. Synopsis: A New York piano player hitches a ride to LA to see his girl. He gets a ride from a man who mysteriously dies. 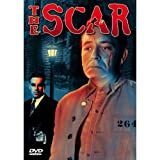 A femme fatale threatens to turn him in for the supposed murder unless he assumes the identity of the dead man to collect an inheritance. Black & White. Notes: Based on the 1939 novel Detour: an Extraordinary Tale by Martin Goldsmith of unknown copyright. Synopsis: A man awakes from a dream in which he and a women murder a complete stranger. He begins to suspect that the events in the dream actually occurrred. Black & White. Notes: Based on 1 1943 short story by And So To Death by Cornell Woolrich with unknown copyright. Synopsis: Cagney plays Johnny Cave, a retired boxer who becomes head of the Bureau of Weights and Measures. He quickly uncovers corruption and begins stepping on powerful toes. Black & White. Synopsis: A New York Assistant District Attorney Tone uncovers a racist hate group while on the trail of a journalist's killer. Film features cameos by Marlene Dietrich, Henry Fonda, John Garfield, Burgess Meredith, and Marsha Hunt. Black & White. Synopsis: Sam Masterson returns to his hometown after nearly two decades away. His return sends shockwaves through the town as the Ivers, the town's preeminent couple, fear Sam may have witnessed a crime they were involved in years before. Black & White. Synopsis: The American War Crimes tribunal is seeking Franz Kindler, a mastermind of the holocaust. The tribunal sets Meinike, a Nazi, free in the hopes that he will lead them to Kindler who is secretly living in Connecticut. Black & White. 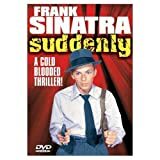 Synopsis: Sinatra plays a psycho killer who takes over a house in a small town in a plot to assassinate the President. Black & White. Synopsis: A satchel of money litteraly falls into the backseat of a young couple's car. When they decide to keep it, they run into trouble as the bad guy tracks them down. Black & White.